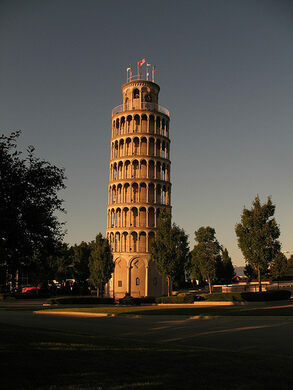 For those who have yet to make it to Pisa, Italy, the Leaning Tower of Niles, located in Niles, Illinois, provides a similar – albeit scaled down – experience of the famous Leaning Tower of Pisa. 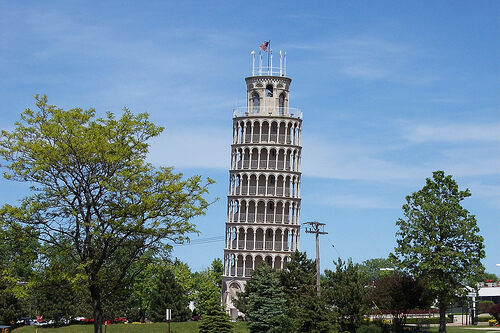 Located just outside the city of Chicago, the Leaning Tower of Niles is a half-sized replica of the famous tower in Pisa. 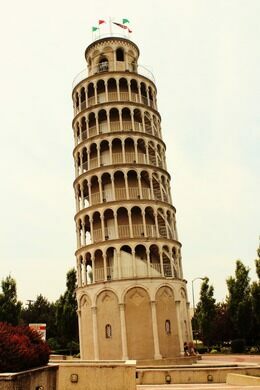 It is made of steel, concrete and precast stone and is 94 ft (28 m) tall with a 7.4 ft (2.2 m) tilt. Completed in 1934 by Robert Ilg, the Niles tower was originally intended to store water for public swimming pools and to serve as a recreation park for the employees of the Ilg Hot Air Electric Ventilating Company. Ilg also erected the utility tower as a monument to honor the famous astronomer Galileo, who was rumored to have utilized the original Tower of Pisa in his physics experiments. 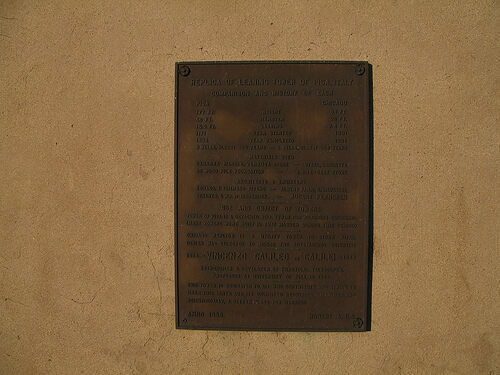 The land was donated to the YMCA in 1960 and, in 1991, the town of Niles became a sister city to Pisa, Italy. The oldest house in Chicago certainly doesn't look the part and there are some who say it doesn't deserve its title either. Chicago's North Park Village was once the largest municipal sanatorium in the country. A mysterious demonic figure peers down from its perch within the gorgeous Chester Cathedral.